Here's a photo I took today, Wednesday Nov 4th, in nearby Higganum Connecticut, with numerous power lines still down, sometimes laying right across the street. 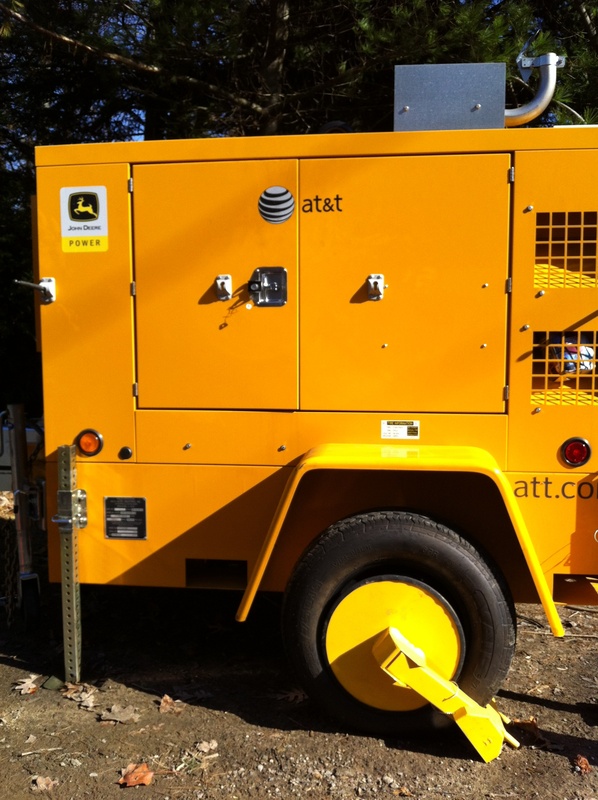 You'll see a temporary AT&T-owned John Deere generator I spotted roadside, presumably keeping service (barely) going. Placing and receiving AT&T & Verizon calls has been hit-or-miss all week. The fragility of our ever-more-important cellular connections is now very apparent to my entire extended family, as is the usefulness of WhatsApp for keeping in touch and sharing critical information, like who has gas, and where to get electrical parts, etc. ).